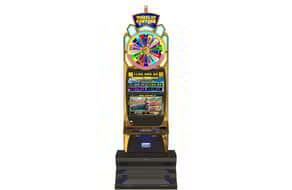 Take a chance and spin to win. MGM Springfield holds the largest gaming floor in Massachusetts. More machines mean more opportunity. Willy Wonka’s sweet world comes to life with sugary bonuses galore! 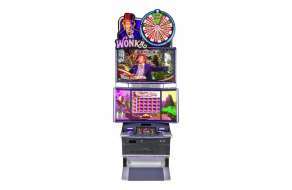 The lovable Oompa Loompa Feature, the Wonka Winko Bonus, Free Spins, the World of Wonka Wheel Bonus, the Chocolate River Bonus, and of course the Golden Ticket Bonus delight players with every type of sweet tooth! Cinema’s greatest confectionery adventure comes alive on the casino floor! 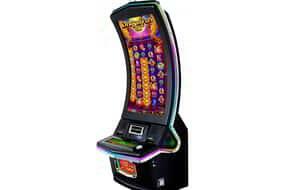 Showcased on the amazing Gamescape™ cabinet, players are taken on an amazing journey immersed in the World of Wonka! 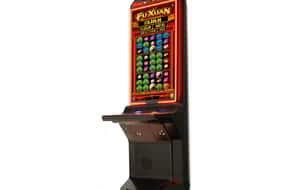 Players will be in a world of pure imagination when they see this immersive game on the casino floor. Introducing the most successful product to come out of Australia since The Penny Train. Lightning Link, an explosive set of linked games with progressives that are sure to be a hit. Multiple denominations call to players of all levels. 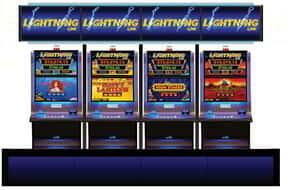 They’ll love the four game themes—and they’ll be on the edge of their seats waiting for the free games and Hold & Spin bonuses to strike. Especially when a single bonus spin could award multiple progressives and bonus values. 2 Reel Sets available at 60 bet and 3 reel sets available at 88 and higher bets. 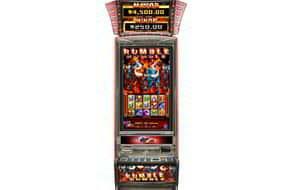 Choose from a field of 20 icons which can reveal credit prizes, additional picks, or Jackpot Advance symbols. When any Wild symbols land on a reel,it will nudge to display a full stack.